I don’t follow Beast on a regular basis, but I’m beginning to like this guy. Beast’s Yoseob has gained netizen respect for speaking out against his own fans and their malicious remarks towards Rainbow’s Jaekyung, who was rumored to be paired with Yoseob on We Got Married. 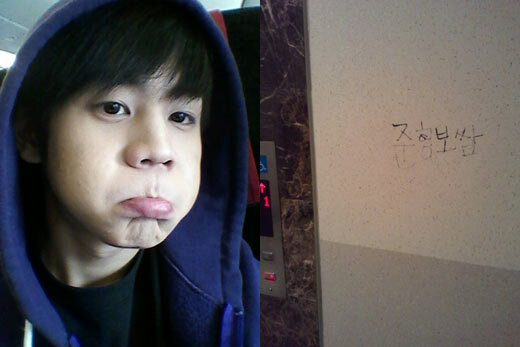 This time, Yoseob spoke up through Twitter about sasaeng fans and how he does not approve. Ouch. That’s a guilt trip if I ever saw one. Just look at that face!